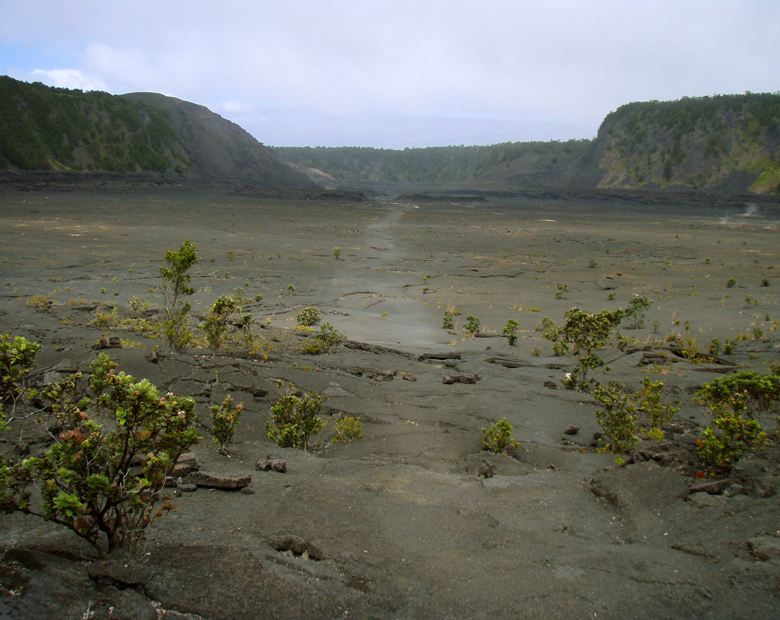 Less than 1/10 of a mile southwest along Chain of Craters Road from the Hilina Pali Road turnoff is a small patch of bare ground, the parking spot for the unmarked Devil’s Throat collapse crater. 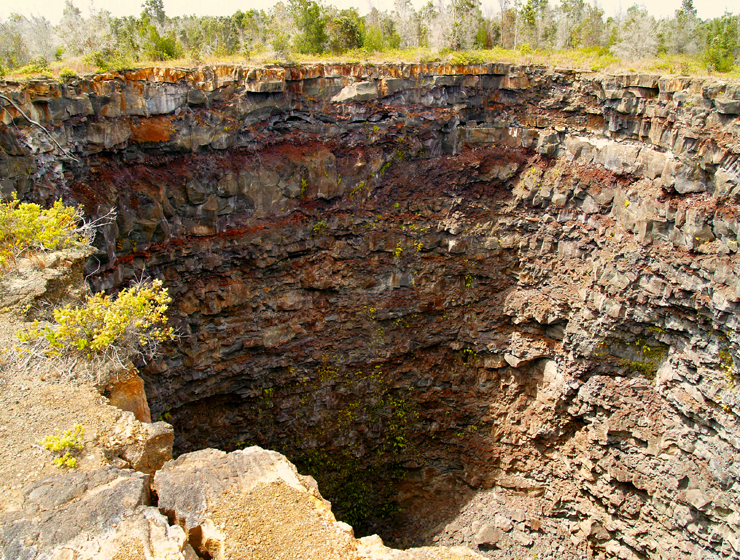 Devil’s Throat is an excitingly vertically-sided pit crater that is worth the visit just for the “okole squeezing” peering down the throat will give you. 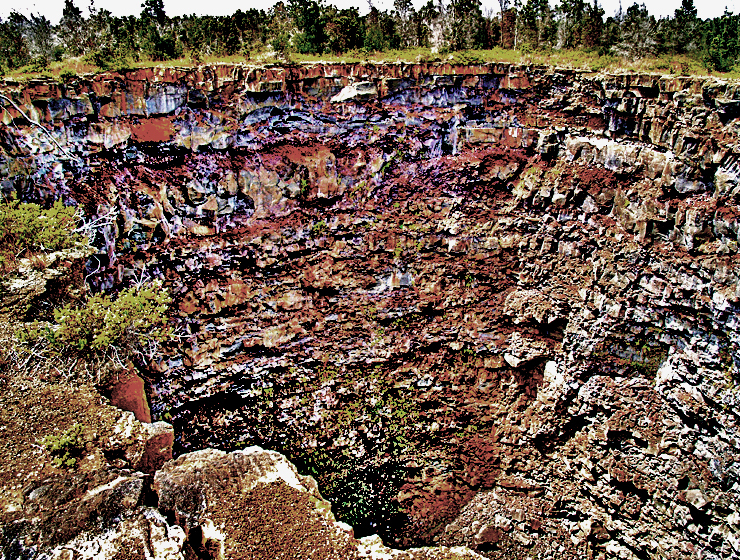 An unmarked, approximately 50 meter trail leads south east from the road along a prominent earth fracture to the 30 meter wide by 55 meter deep pit. Keep your eyes on the trail in front of you at all times as you approach. 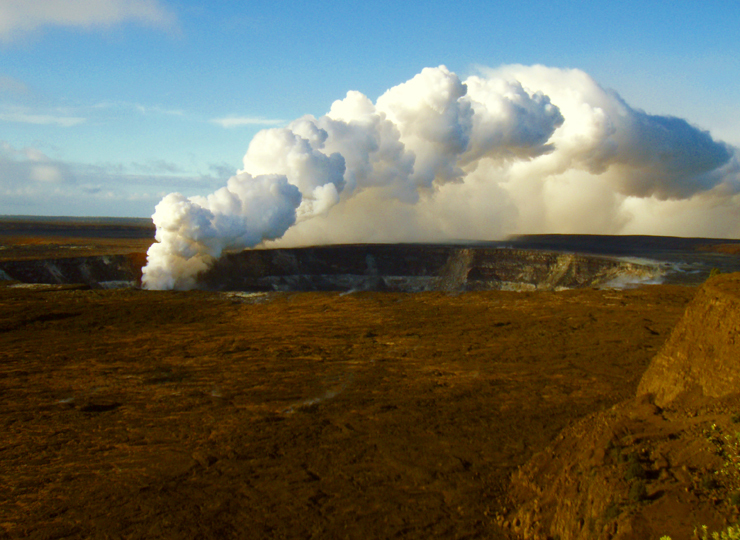 Do not allow children or exuberant adults run ahead, especially in the dark, fog or vog, as there are NO safety rails and absolutely NO warning the crater is coming up…one simply arrives, teetering, at the brink. 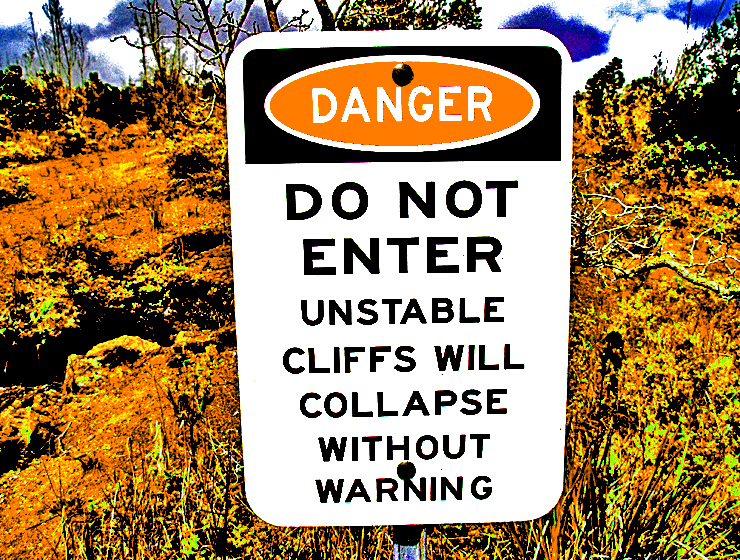 Be extremely careful approaching the crater rim, as the edge is very unstable and prone to collapse. 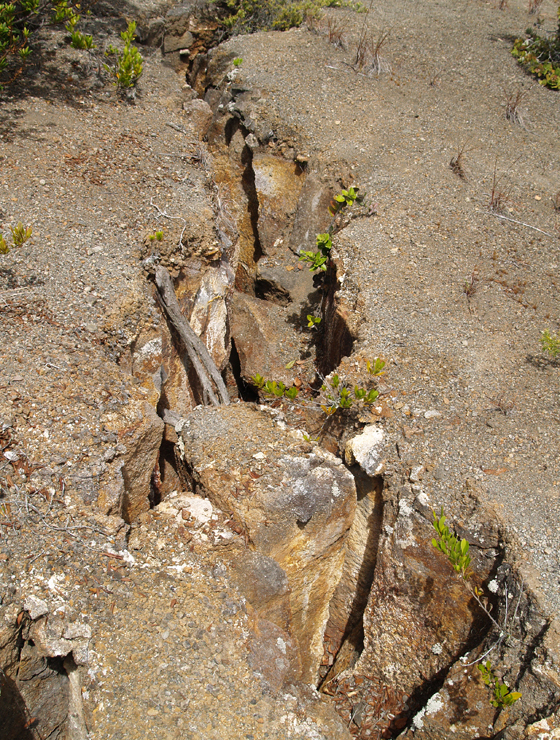 It is also an interesting hike to trace the prominent fracture lines back towards Hilina Pali on the northwest side of the road to the prominent fault escarpment. 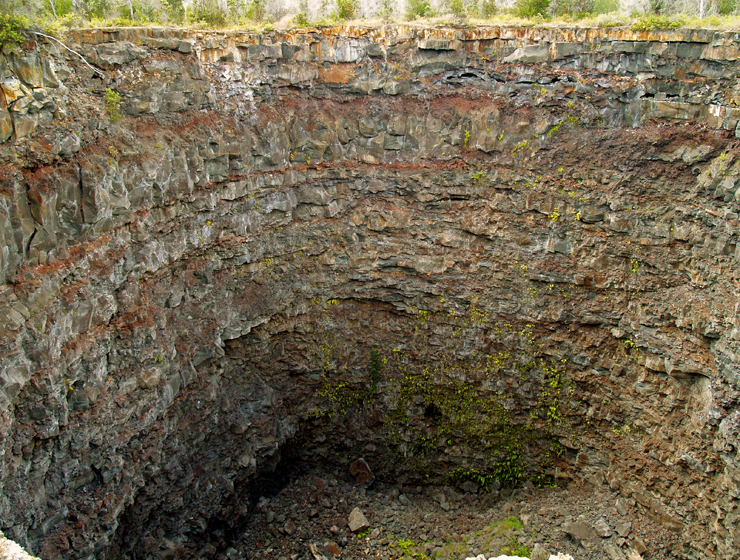 Collapse pit craters are formed when magma is rapidly extruded from one portion of a subterranean magma chamber to another, or is erupted onto land. 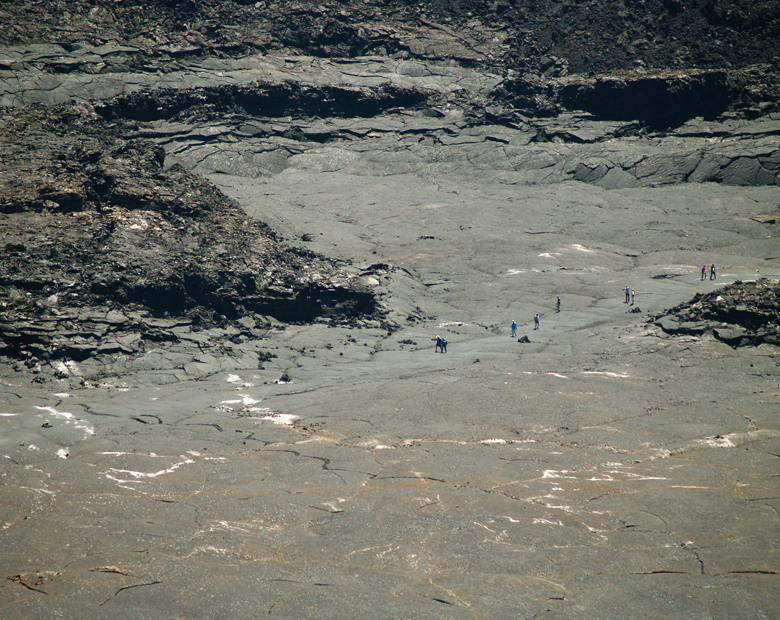 The ground above the recently evacuated portion of the magma chamber simply collapses. 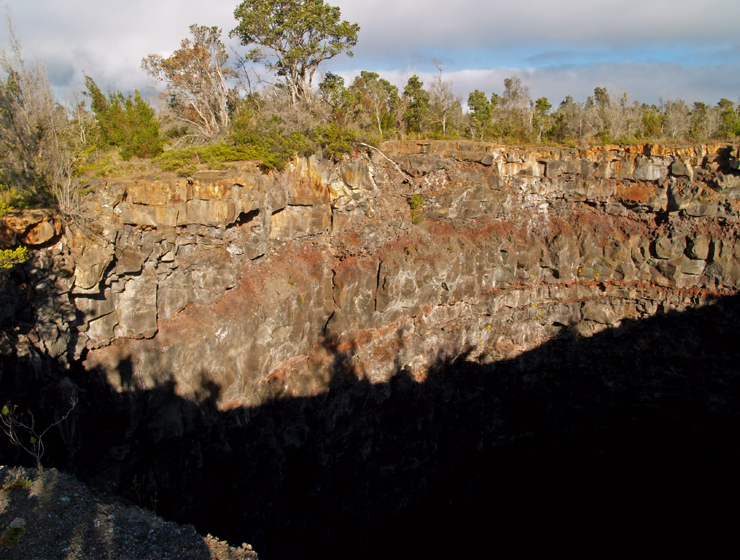 Essentially, the entirety of the land traversed by chain of Craters Road is pocked with these features. 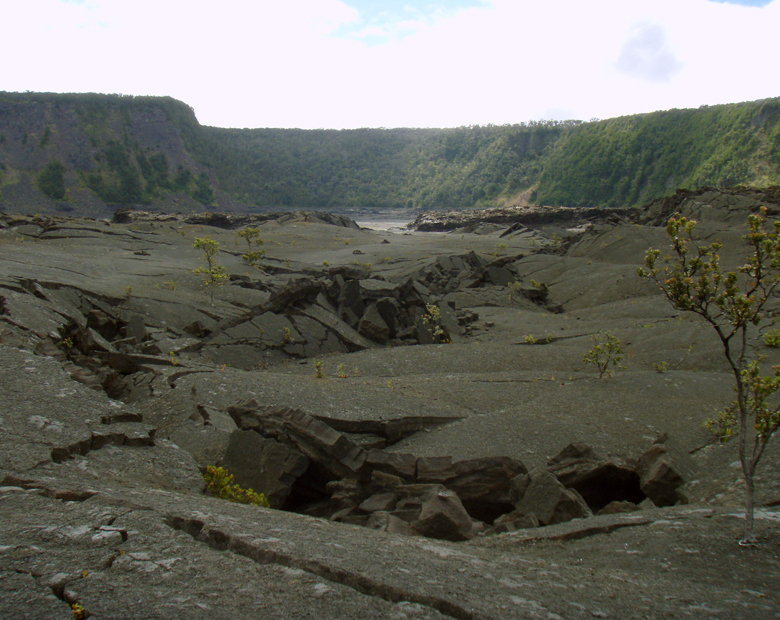 Viewing and photography are best done at Devil’s Throat when the sun is high in the sky and the walls and bottom of the crater are not in shadow. 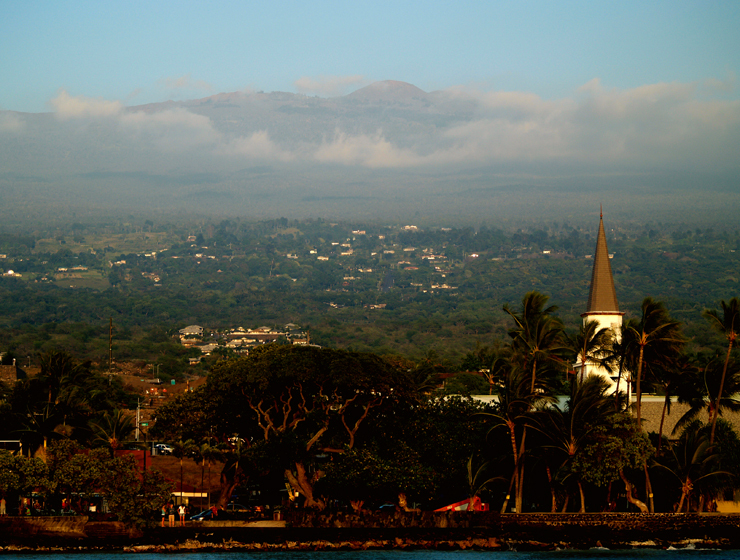 Whether you visit the Big Island for a few days, a couple weeks or a few months, you want to make the most of your time in Paradise. With such a wide variety of natural and commercial attractions, it is natural for the visitor to get a little overwhelmed in the “Option Overload” and not be able to make a balanced and informed decision on what they want to do and how best to spend their time. Even choosing what activities you want to participate in…do you want to snorkel, hike, go on a whale watching tour? 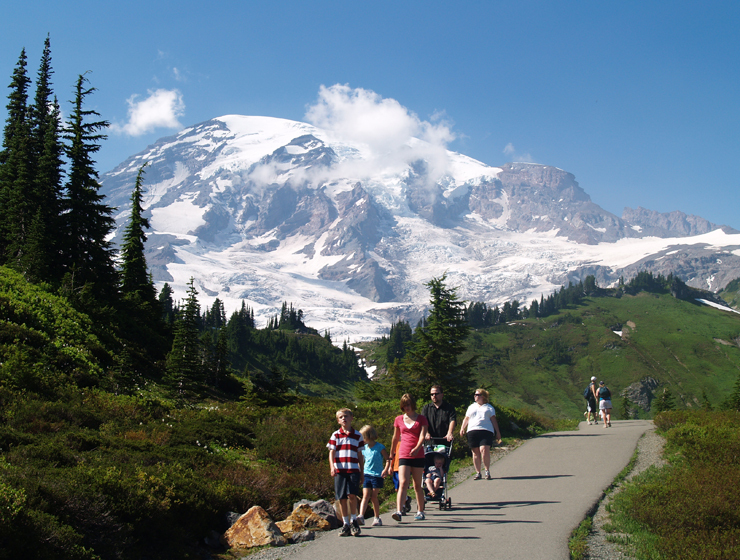 We highly recommend you go hiking on your visit…but where do you go? 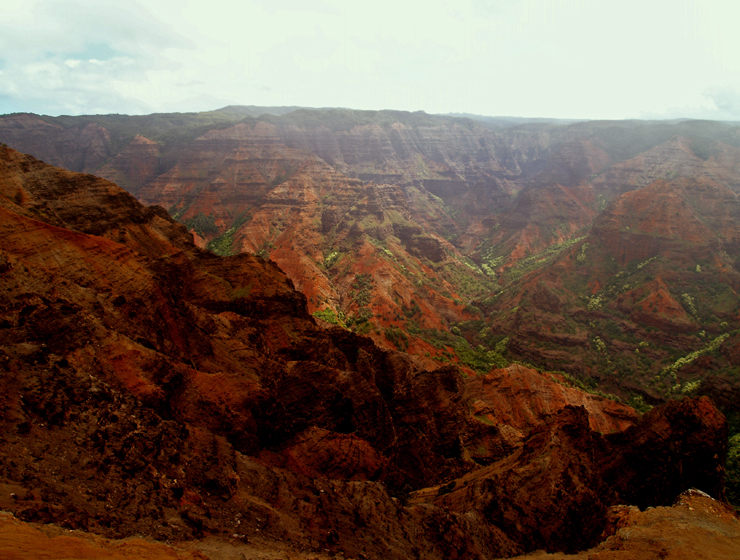 Many of the justly famous mountains, canyons and beaches of Hawaii all have superlative hikes, but which are best? Which suit your interests? Are you looking for an experience that is away from crowds, secluded and empty or one that’s exciting, but perhaps a little more tame? 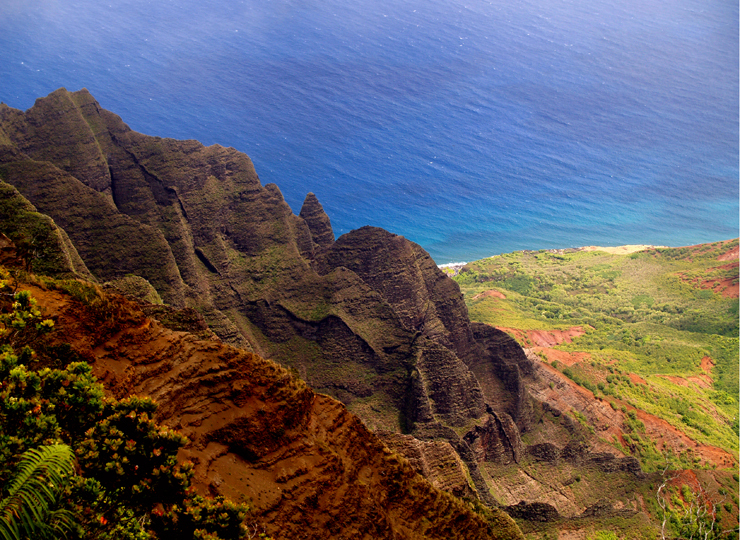 Do you want to hike near your resort or find one that’s at the end of a day of delicious wandering? Do you have the hankering to climb Hawaii’s highest peak, and the world’s highest peak from base to summit? 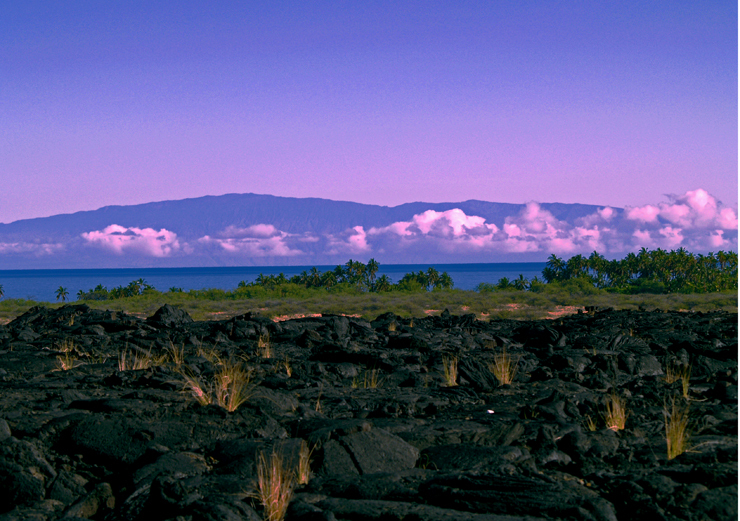 How about a stroll through dryland forest, over ancient lava fields to a wilderness beach? 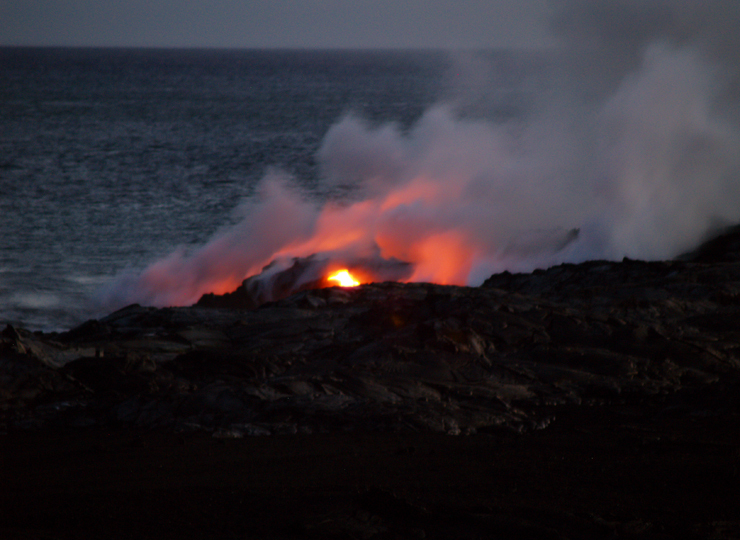 And what about hiking to the Lava…is that really safe? Is it as unimaginably magical as it sounds? 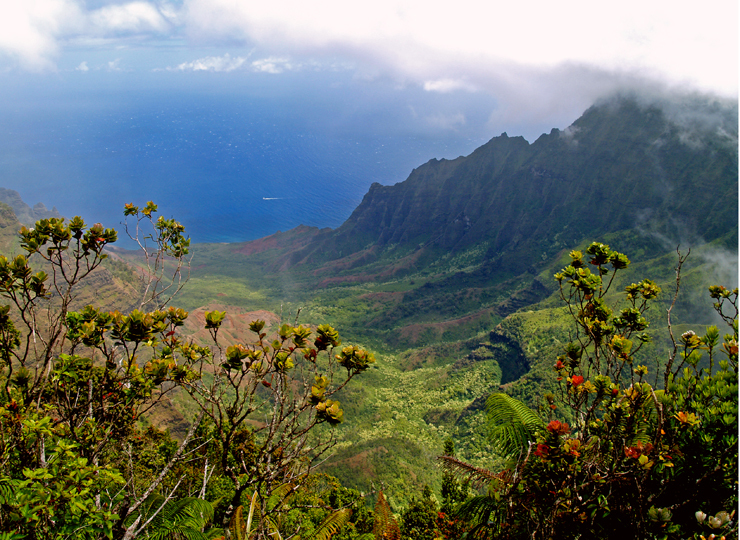 Ranked in order, with the best on top, are our picks of the finest hikes on the Island of Hawaii. We’ve tried to strike a balance in ranking these places since each is a gem in its own right, we’ve had to leave off many that are equally fine in their own right and of course, recommending some means that their popularity will increase and hence, they will become more crowded. This list at least provides an excellent starting point for deciding where you want to spend you trail time. 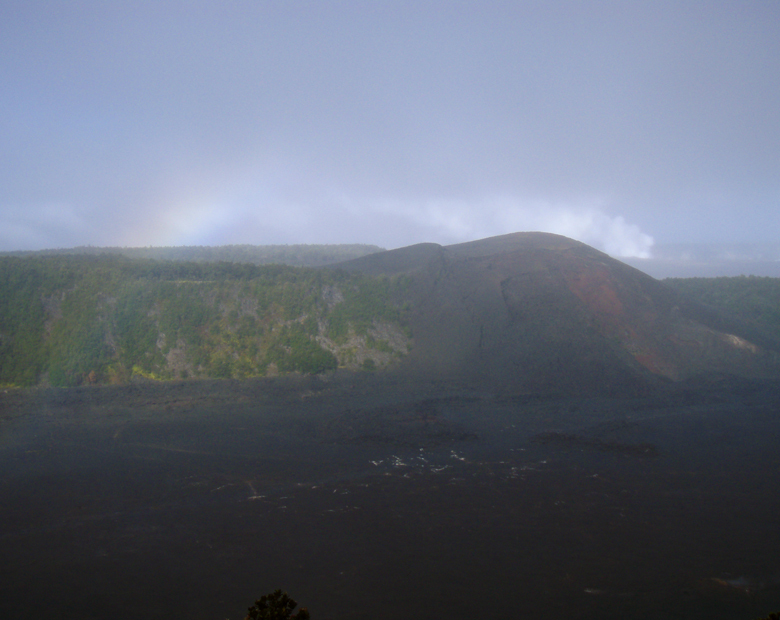 When you arrive we ask that you treat these special places, and the people who live near them, with care, respect and aloha. 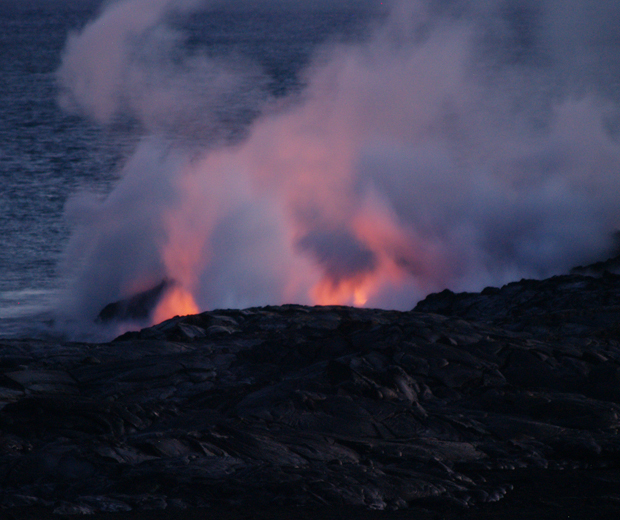 Lava Viewing at Waikupanaha Ocean Entry: This is truly the one “Must-See” trip for every visitor to Hawaii Island; the unimaginable spectacle and beauty of the earth remaking herself thorough volcanic eruption. 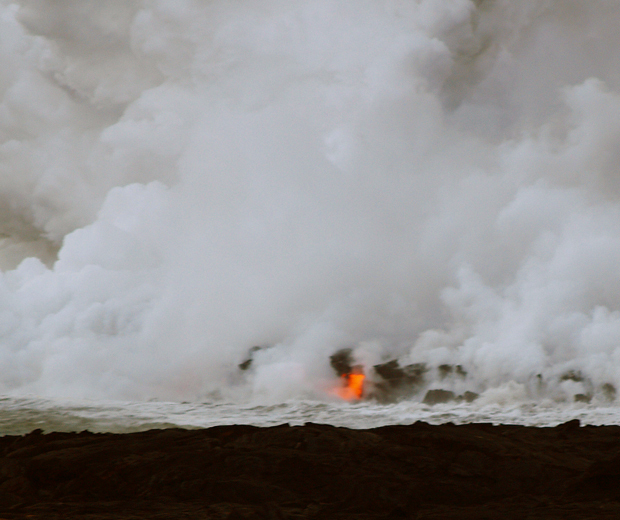 Explosions, glowing and flowing lava, waterspouts. lightening and every kind of geological excitement you can imagine, located at the end of an extremely short hike along a trail that is accessible to almost everyone. See a video here. 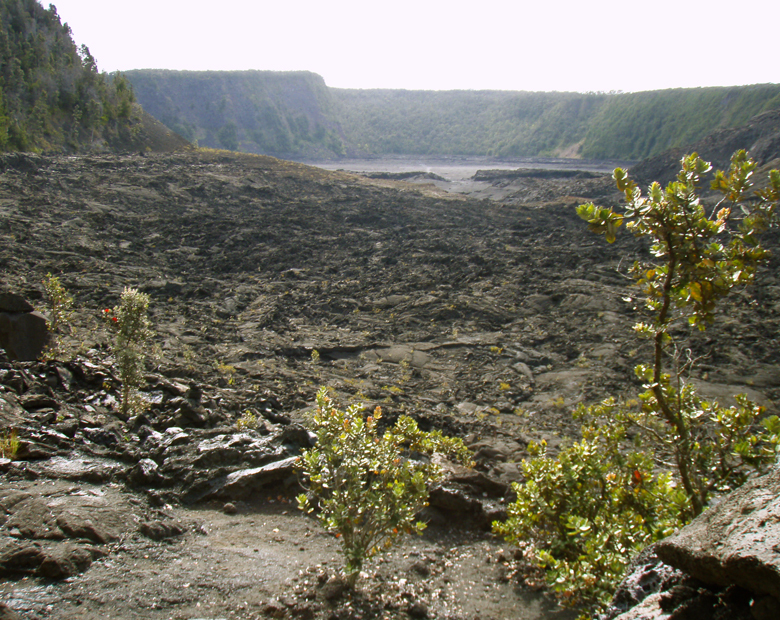 Kilauea Iki Crater in Hawaii Volcanoes National Park: An amazing, wonderful walk through lovely fern and ohi’a forest down the sides and onto the still-steaming floor of an enormous volcanic crater that was, only a few short decades ago, the hellish cauldron of a frothing, liquid lava lake of fire. A fascinating, 4 mile/2 ½ hour loop hike of only moderate difficulty, most people in only fair shape can easily complete it in a couple hours. See a video here. 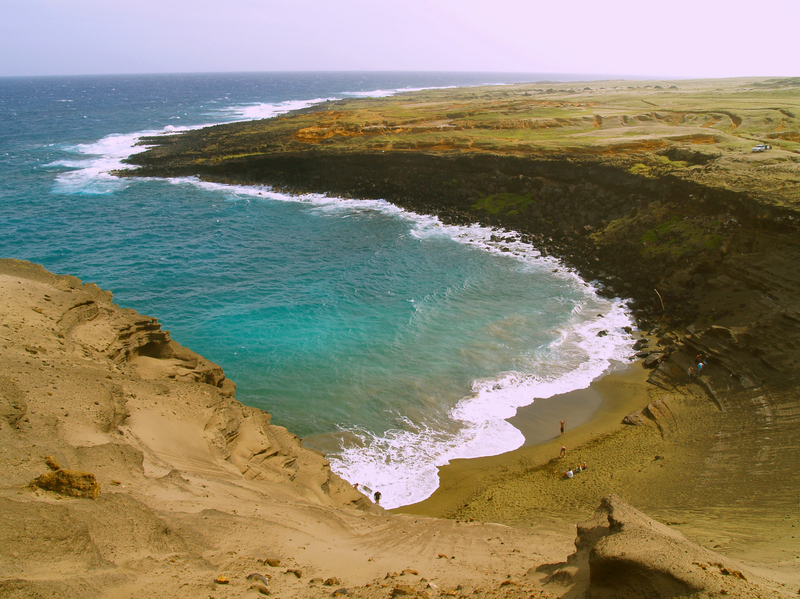 Mahana Green Sand Beach at South Point: One of a handful of true green sand beaches in the world, the Mahana Green Sand Beach near South Point is not to be missed. Beautiful, haunting, intriguing. 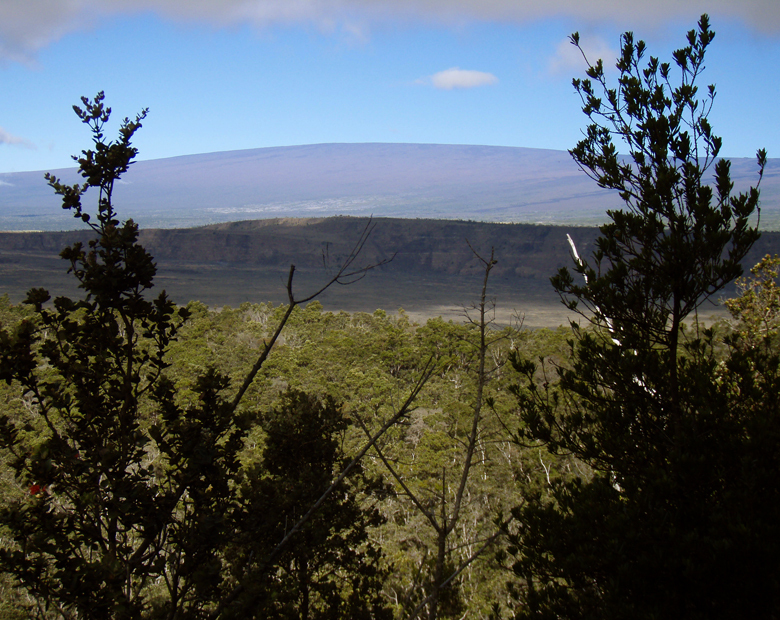 Although the hike is 2 ¼ miles each way, the trail is relatively flat and easily followed. Swimming and snorkeling in the bay is fabulously weird due to the water color, just be wary of currents out from the mouth of the bay. 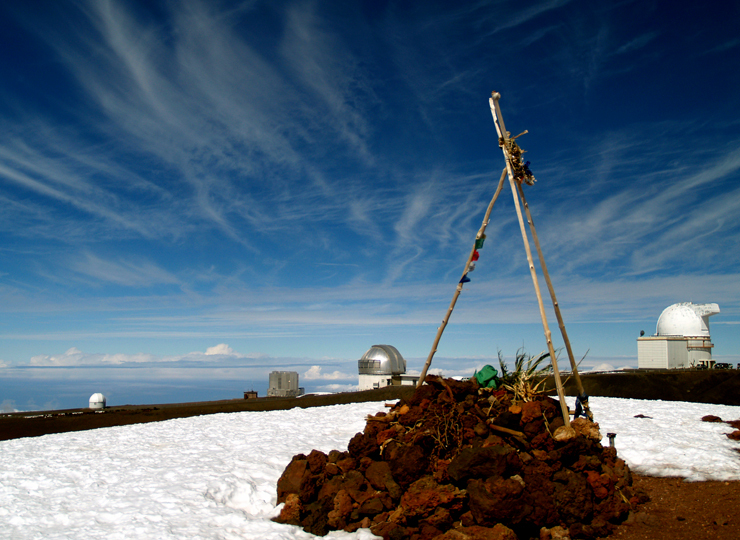 Mauna Kea Summit: Whether you struggle up the 6-mile climb from the Visitor’s Information Station, or take the 20 minute short hop hike from the end of the road, visiting the summit of Mauna Kea should be on every visitor’s wish list of things to do. 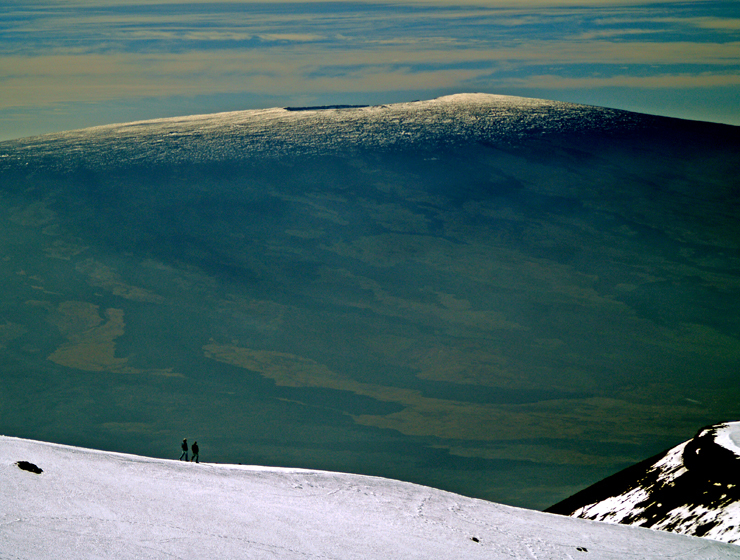 Simultaneously the highest point in the state of Hawaii and the tallest mountain from base to summit on earth, Mauna Kea is an otherworldly, unique, starkly beautiful place. The hiker is reminded to be wary of changeable weather, severe snow storms that can strand you, altitude sickness, dehydration and sunburn. See a video here. Makalawena Beach: Perhaps the loveliest beach in Polynesia, Makalawena is the perfect sand crescent, beach backed by palms and iron wood trees with morning-glory-draped sand dunes. 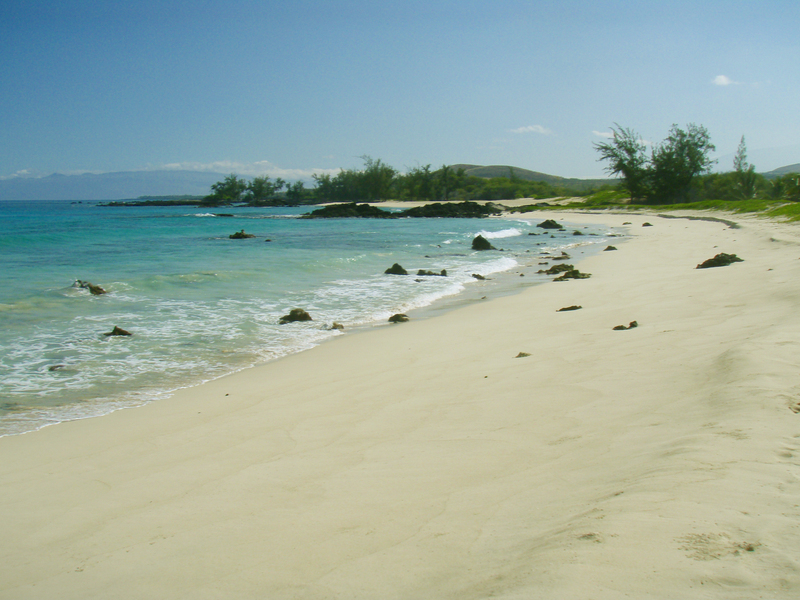 A easy mile hike in from Kekaha Kai State Park keeps this beach uncrowded. 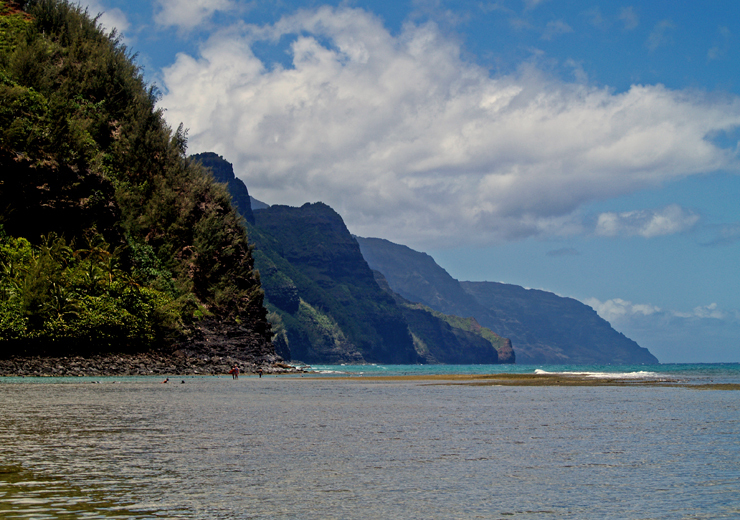 Snorkeling here is better than perfect, camping here is so wonderful we don’t know why it’s not mandatory. 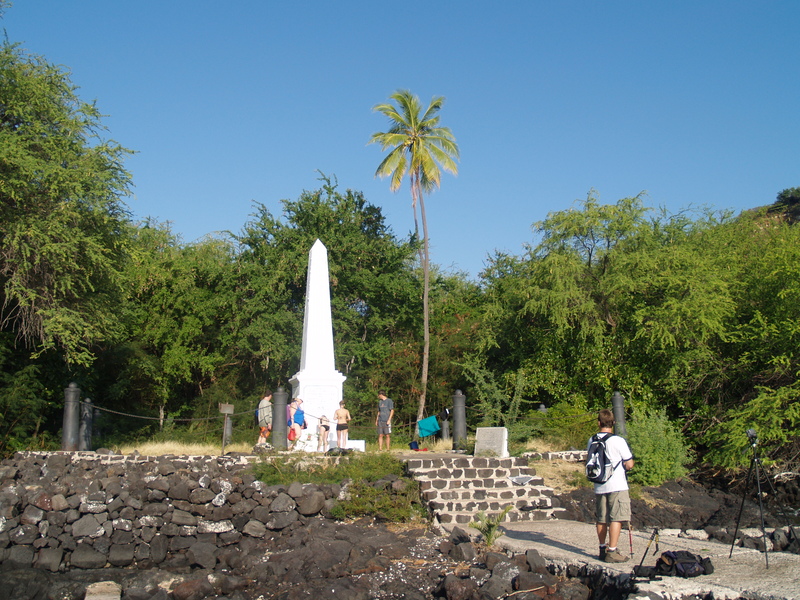 Captain Cook Monument on Kealakekua Bay: Accessed by a steep trail this 2.5-mile hike takes about 1-1 1/2 hours to descend, somewhat more time to come back up. 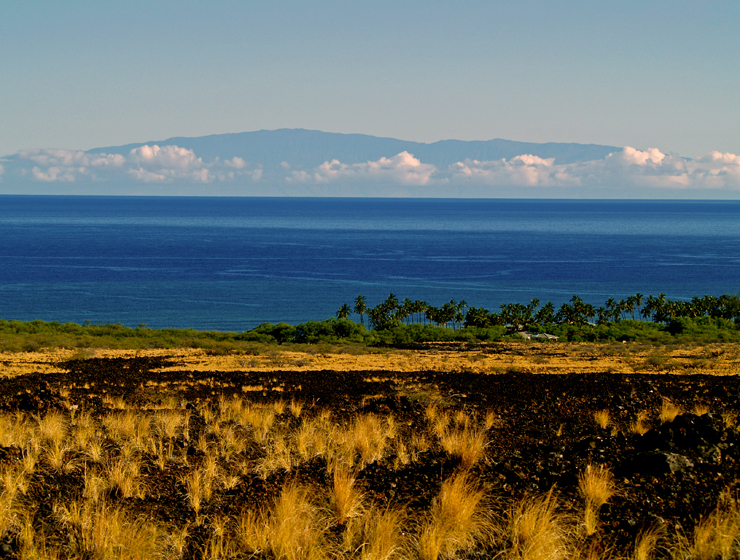 The snorkeling at the monument is second to none and the hike is a fabulous walk back in time, through fruit groves, cattle pastures, lava flows and an abandoned Hawaiian village. Take water, a lot of water, there is none to drink anywhere along the trail or at the bay, once you are there or on the all-uphill hike out. See a video here. 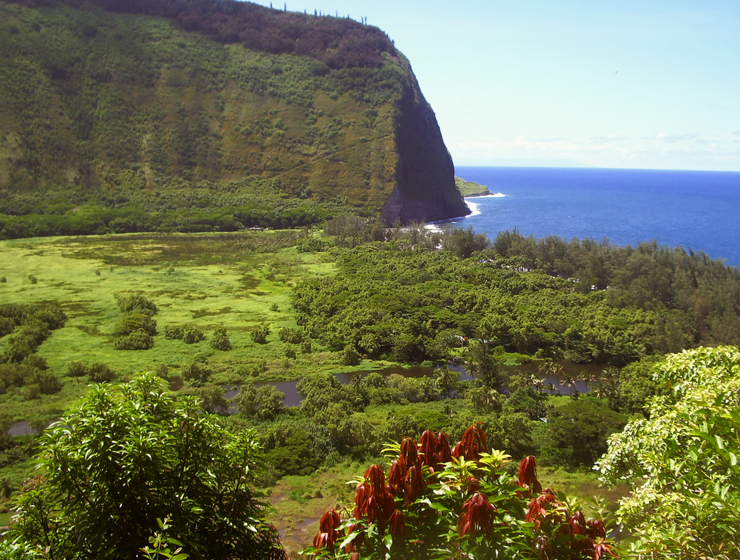 Waipi’o Valley: An amazing hike into the Waipi’o fastness, down a steep narrow road to the largest black sand beach on the island. 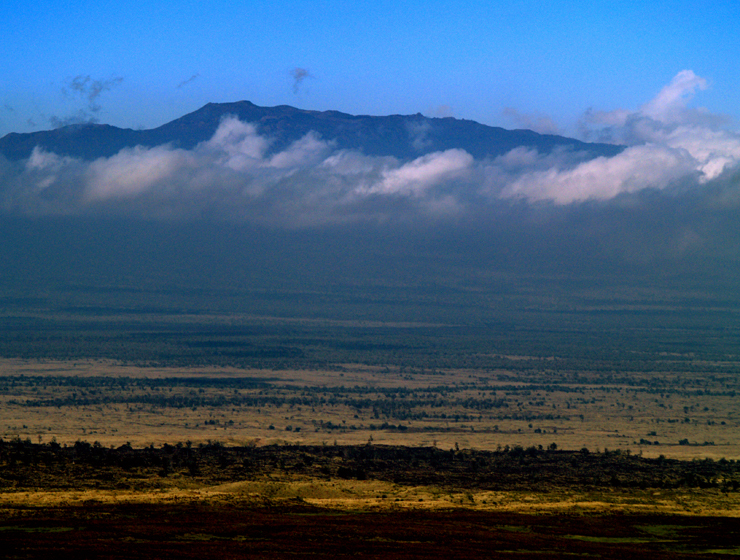 If vast open spaces, scenery, wild tropical flowers, waterfalls and amazing beaches are your thing, this is your hike. Once on the valley floor, exploring along the beach or farther on to subsequent valleys can take hours, or days, depending on your level of energy and interest. 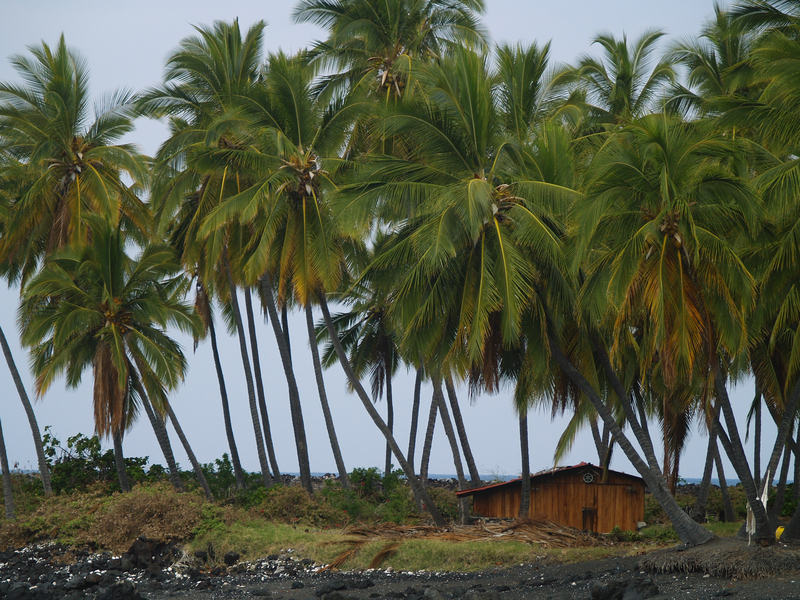 Honomalino Beach: Starting in the Old Hawaiian Fishing Village of Miloli’i, the hike wanders along the coast in and out of the surf line to the wild and untamed Honomalino Bay—a wonderful place to picnic, snorkel or kayak. 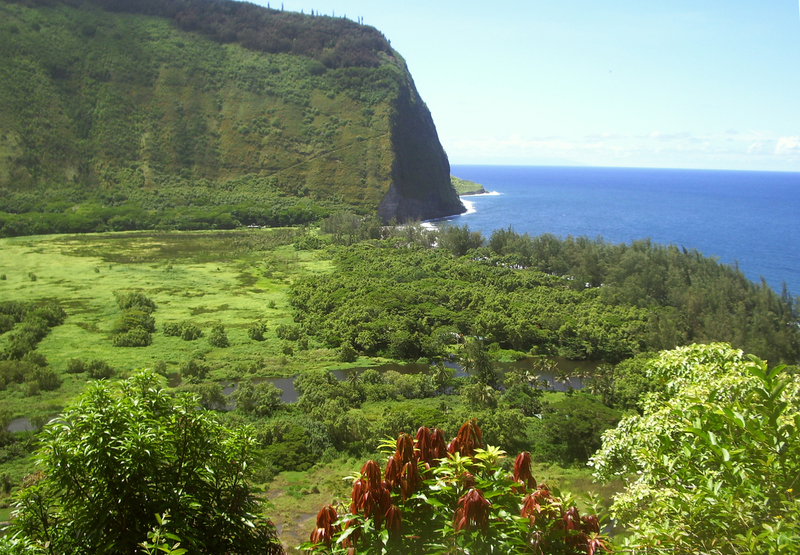 Exploring on foot in the area of the bay provides many wonders and archeological treasures, from abandoned temples and villages to the largest holua, or sledding track, in Hawaii. 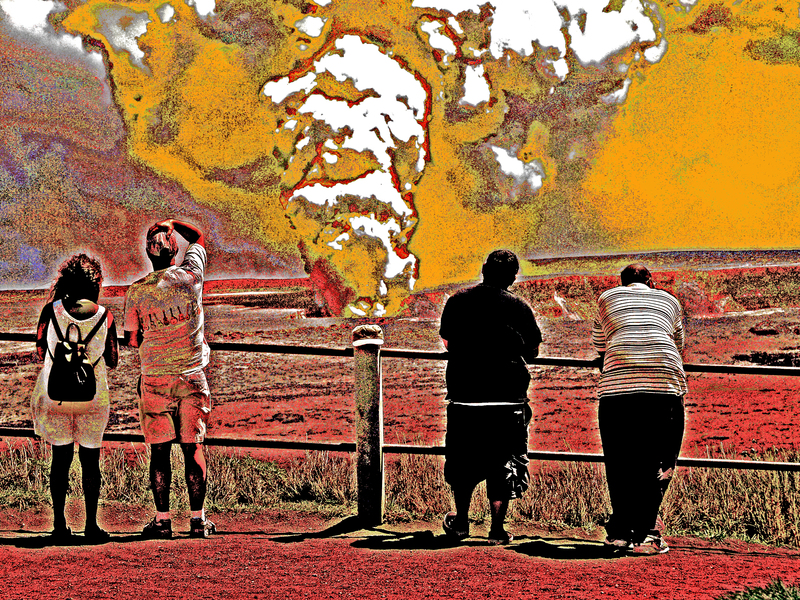 Remember to respect the Hawaiian natives, their culture and their sacred sites. 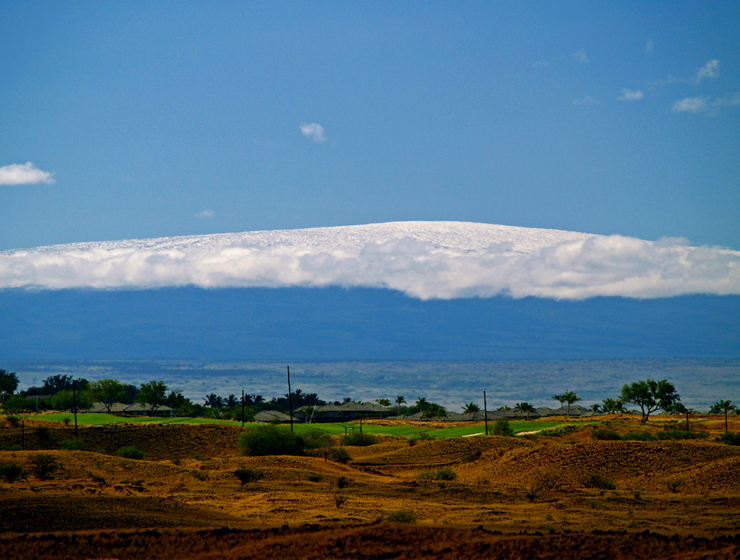 For more information on traveling to Hawaii in general or exploring the Big Island in particular, please also visit www.tourguidehawaii.com and www.tourguidehawaii.blogspot.com. 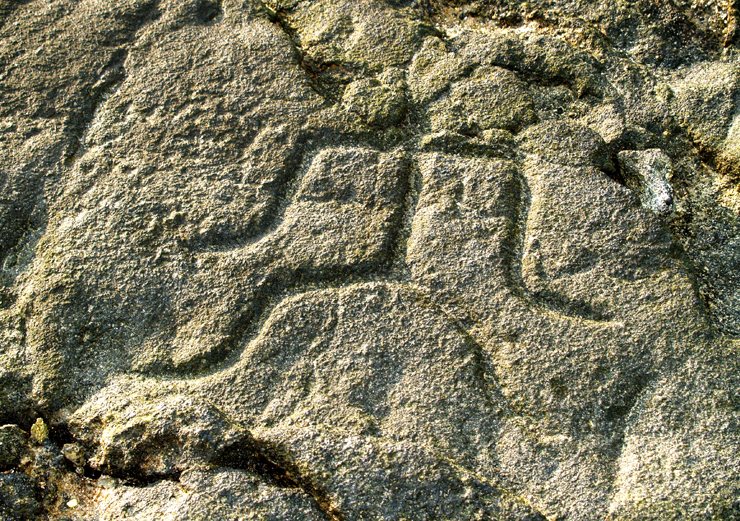 Information about the author can be found here. All media copyright 2009 by Donald B. MacGowan, except where otherwise noted. 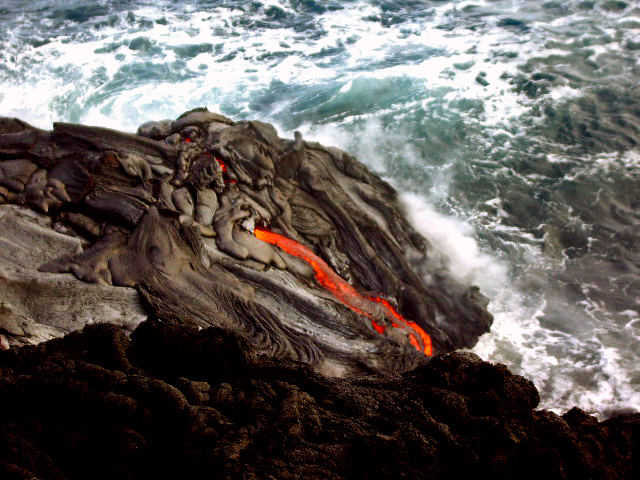 Let’s Go to Hawaii Volcanoes National Park! 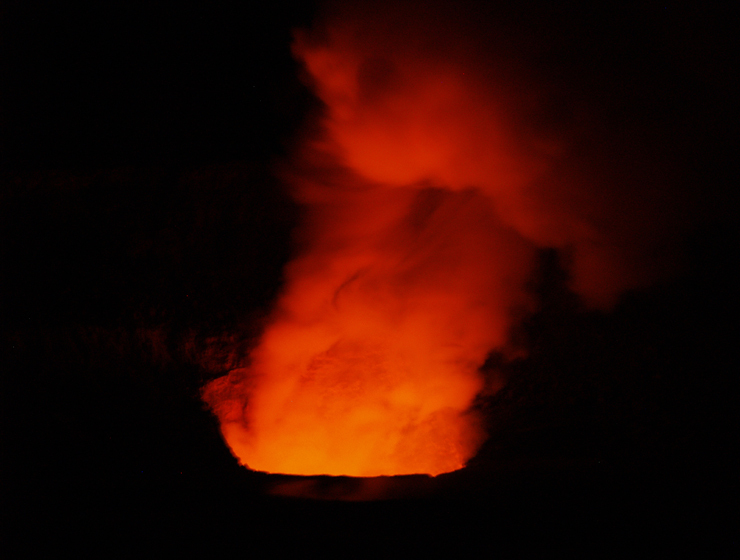 About a two hour straight drive from Kona, going south, brings you to the Hawaii Volcanoes National Park. If you have a Golden Eagle Pass your entrance is free. If not, it is only $10.00 per carload to enter the park. The rangers at the gate will give you detailed maps of the area. Super tip: Your receipt will give you free access to the National Park for seven days. My first suggestion is to go to the Kilauea Visitors Center and the Jagger Museum. This will give you a nice overview of the park and rangers are there to answer questions. 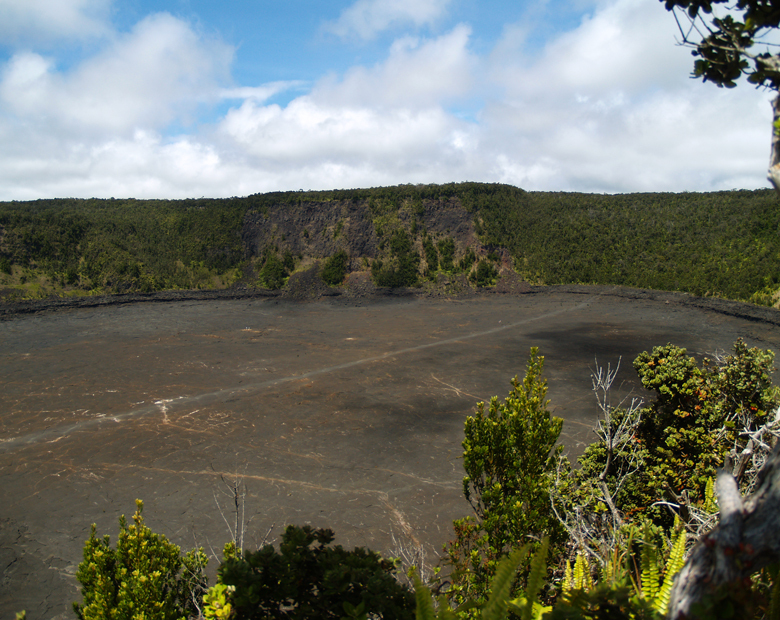 This spot also looks over the majestic Halemaumau Crater. Tour Guide will get you to the park and lead you to more than 50 sites. It is also possible that our state bird, the Nene Goose, will be huddled in the parking lots. They are protected as an endangered species, so be careful when parking nearby. 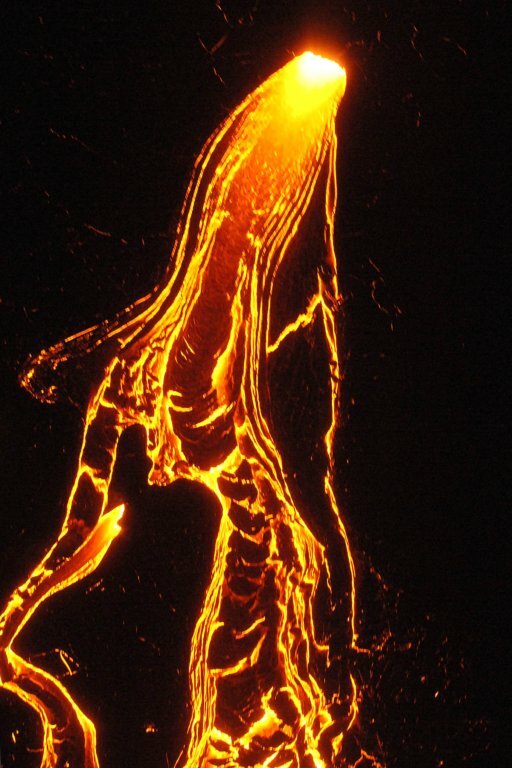 Another great place to visit is the Volcano Art Center. 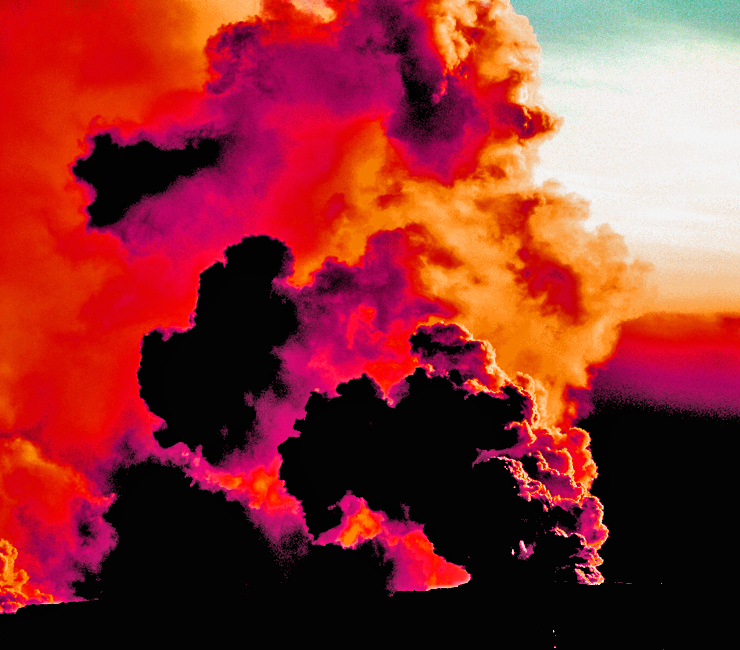 It may seem a strange, but the Volcano Art Center boasts one of the best collections of art in the whole state. World renowned artist in various media are on display as well as theatrical and musical performances. There is only one restaurant in the park proper, and that is the Volcano House. 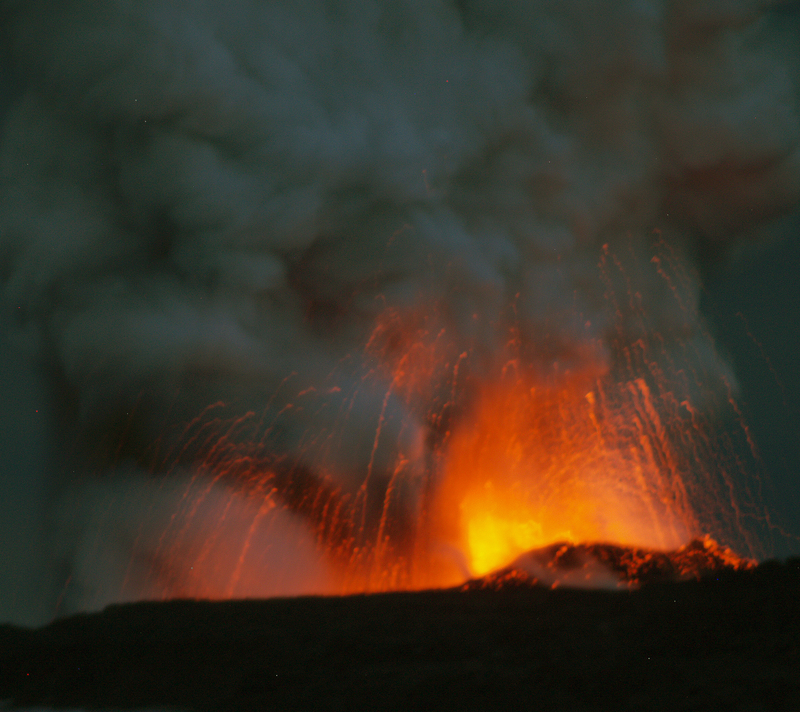 Built as a lodge in the mid 1800’s, the Volcano House has hosted dignitaries, politicians, sports heroes and movie stars from all over the world. 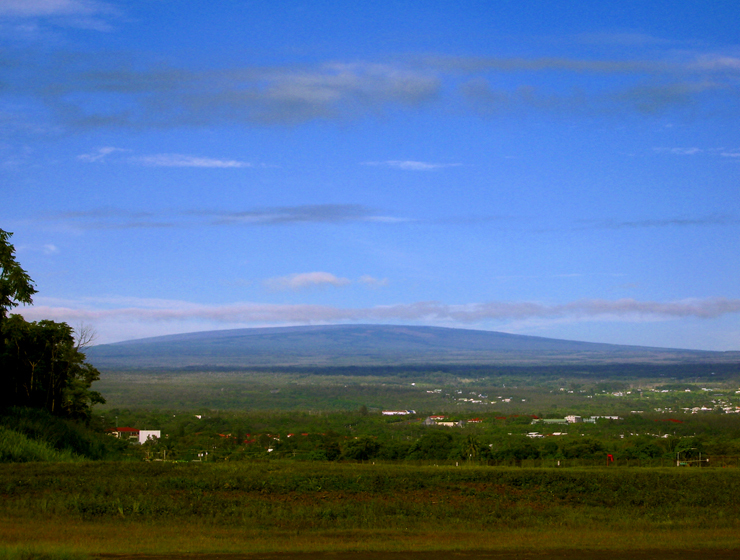 This grand edifice sits right on the lip of Halemaumau Crater and the views from her restaurant are stunning. Tour Guide will give a complete history of how it came to be. The food is good and the prices are reasonable. Bicycle rentals are also available near the lodge. 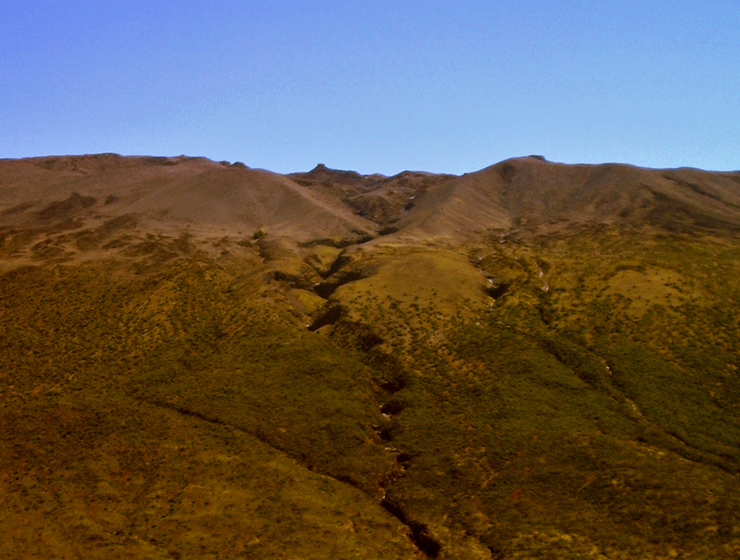 Crater Rim Drive is a great driving introduction to the park. 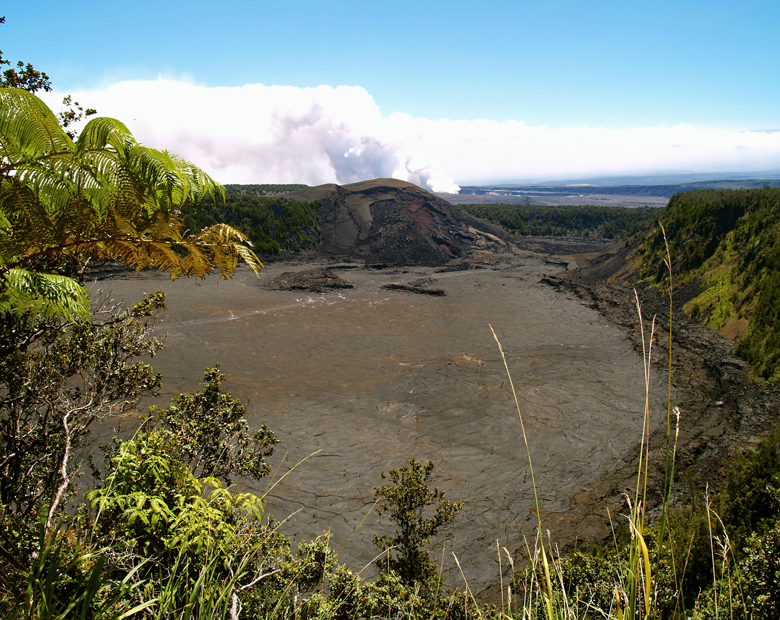 It encircles the Halemaumau Crater and, for only an 11 mile drive, passes through several dramatic climate zones. You will encounter arid desert, grass savannah, and into tropical rainforest; this loop can easily be done in forty minutes. 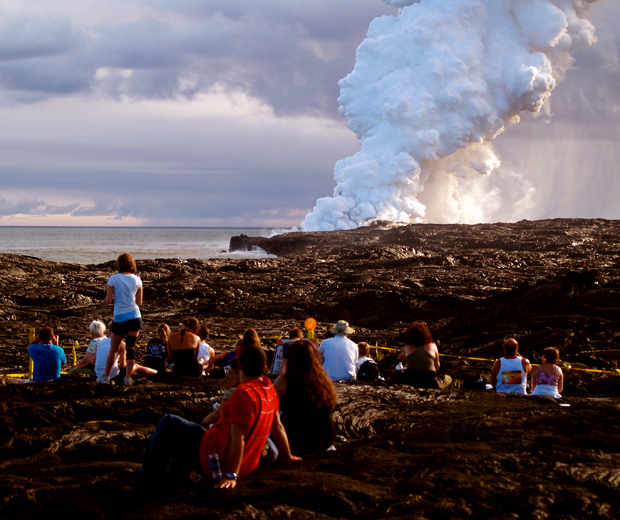 However, you will want to take more time to appreciate the beauty and majesty of one nature’s most awesome wonders. Tour Guide will suggest short to medium hikes and bicycle trails as well as over 50 historic and geologic sites to visit within the park. 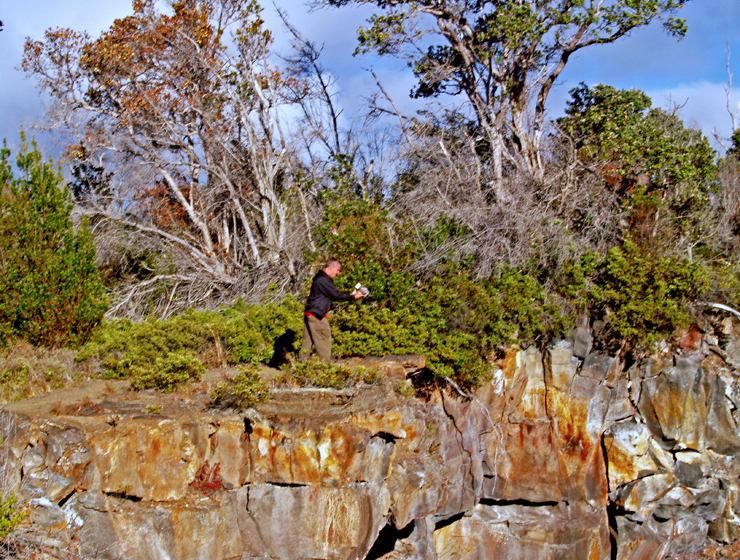 If you are up for some hiking, Tour Guide will lead you to the trail for Waldron Ledge Overlook. 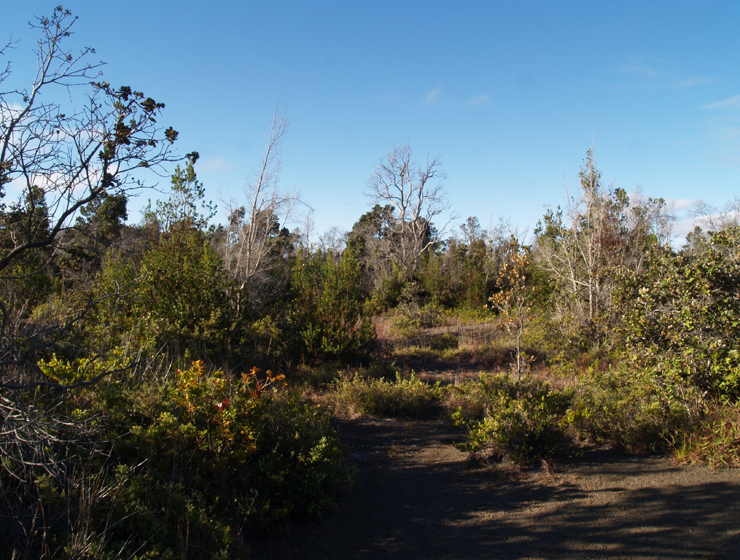 This short hike is through the Ohia and fern jungles, shaded most of the way, and can be done on bicycle as well. 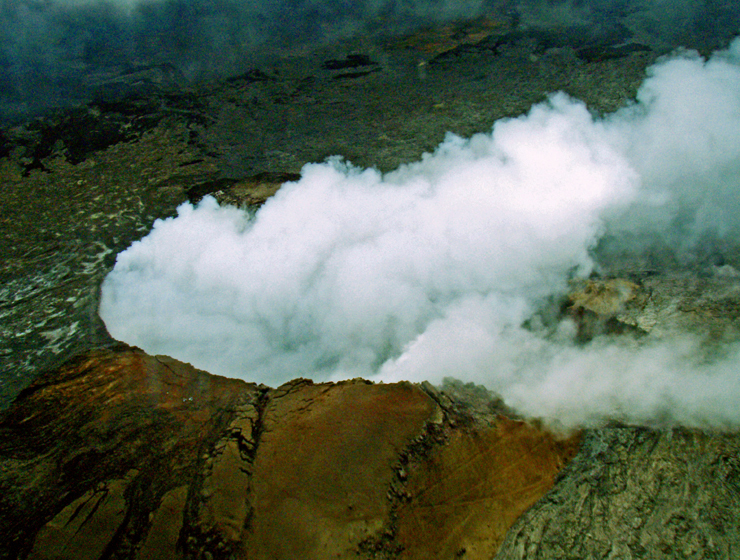 From this vantage point one can see the active vent, Kilauea Iki, and breathtaking views of the coast. 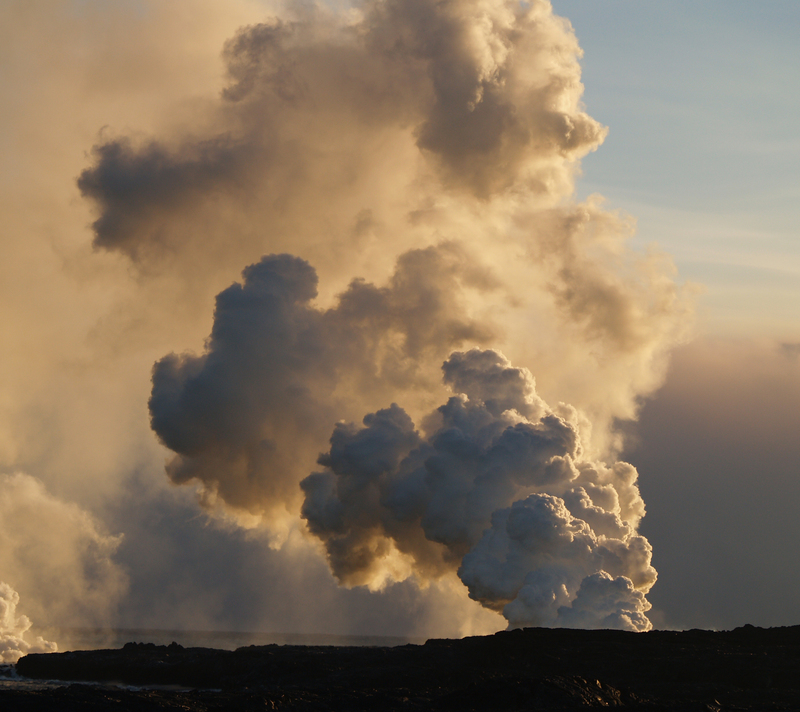 Along the Crater Rim Drive you will also see many steam vents and the Sulfur Banks. 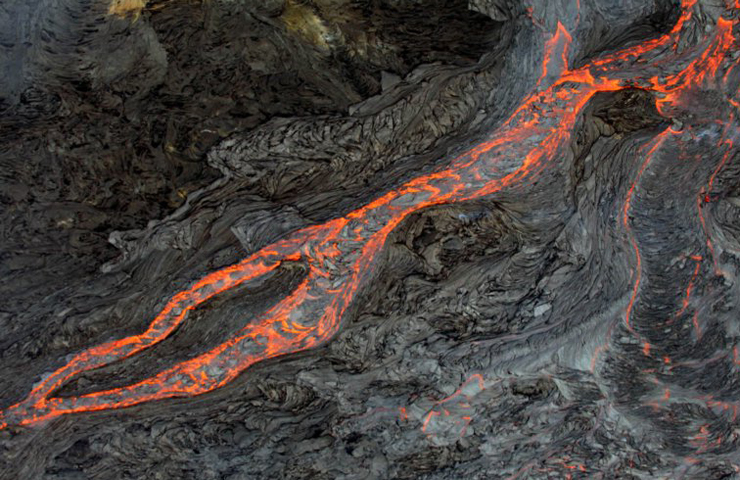 This is where water seeps into crevices and meets the molten magma about a half mile below the surface, is super heated, and returns to the surface as steam. 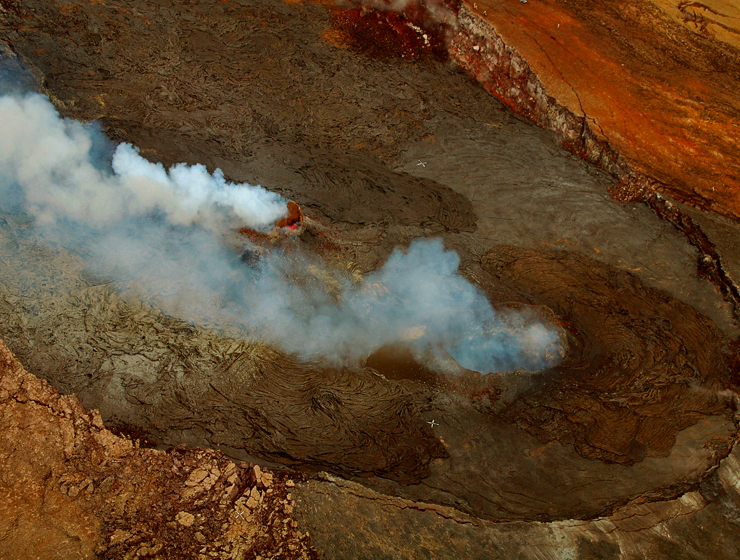 These vents are often accompanied by a “rotten egg” smell common where sulfur is rising with the steam, turning the ground around the vents hues of yellow, green and white. 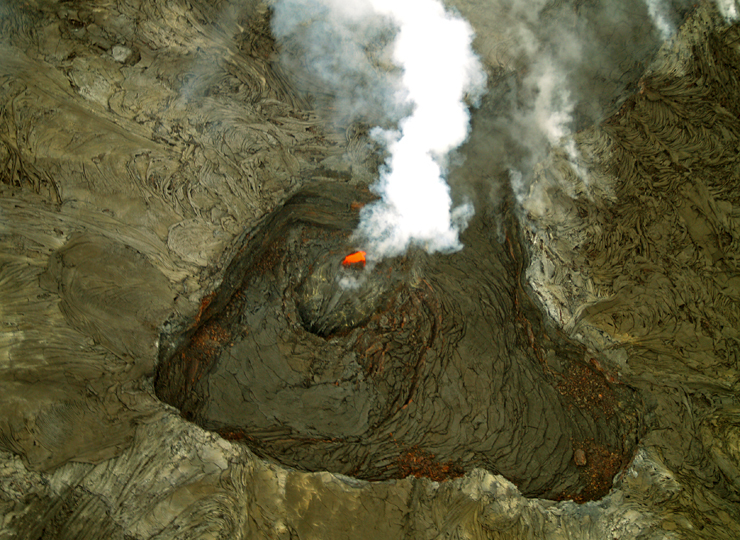 For more information on visiting Hawaii and the Big Island in general, and touring Hawaii Volcanoes National Park in particular, please visit www.tourguidehawaii.com and www.tourguidehawaii.blogspot.com.